On 12 October 2015, the Fijian parliament elected a new president, Major General Jioji Konrote, over the opposition nominee Ratu Epeli Ganilau, son of Fiji’s first president Ratu Sir Penaia Ganilau. Konrote becomes the first non-indigenous Fijian and the first persons of non-chiefly background to occupy that high office. Under Fiji’s 2013 Constitution, the president is the Head of State who exercises ceremonial functions and responsibilities and acts only on the advice of Cabinet or a Minister. Expected to be a person of exemplary character with a record of distinguished service and, at the time of election, without any party political affiliation, the president also acts as the ceremonial commander of the Republic of Fiji Military Forces. Major General Konrote fits the bill on all these counts. He is a distinguished former military officer, having joined the Royal Fiji Military Forces in 1968, and capping his career as the only Fijian solder so far to act as Force Commander of UNIFIL. Upon retirement, he became the permanent secretary of Home Affairs and Immigration and later Fiji’s High Commissioner to Australia. In 2006, he joined the unequivocally Fijian nationalist party of Prime Minister Laisenia Qarase, the Soqosoqo Duavata ni Lewenivanua (SDL), and was appointed Minister of State for Immigration. In the 2014 general elections, he opportunistically changed sides and joined Commodore Frank Bainimarama’s Fiji First Party, SDL successor’s sworn enemy, and was appointed Minister of Employment, Labour Relations and Productivity. Such personal and political contortions are not uncommon in Fiji. Foreign Minister Inoke Kubuabola was a key architect of the 1987 coup but now professes non-racialism. Konrote’s elevation was as much a surprise as it was controversial. The person most frequently mentioned as the likely government nominee was former high court judge, Fiji’s current ambassador to the United Nations in Geneva, Nazhat Shameem, but her reputation was judged too compromised by the murky events surrounding the coup of 2006 to command widespread support and respect across the communities, especially among nationalist-minded indigenous Fijians to whom the presence of any Indo-Fijian in a high office is an anathema. It was expected that the President would be a consensus candidate as befitting an office symbolizing the unity of the nation. But Prime Minister Bainimarama is by temperament and inclination not one for consensus politics. Colloquially put, it is either his way or the highway. The National Federation Party, with three members in parliament, abstained from voting in protest against the government’s unilateral decision. Konrote received 31 votes to Ganilau’s 14. In hindsight, Konrote’s appointment is a safe bet for the Bainimarama government for several reasons. Unlike the person he defeated, Ratu Epeli Ganilau, he does not have an independent political base of his own. Ganilau did, as a scion of the chiefly system, backed by the majority indigenous Fijian political party. It is a strange irony that upon retirement as the commander of the Fijian military in 1999 to join politics, Ganilau had nominated Bainimarama as his successor and had served in his post-2006 coup administration as Minister of Home Affairs. Konrote is from Rotuma, a small island group some 641 kilometres northwest of Fiji which has, despite its tiny size, provided a disproportionate number of senior public figures in Fiji. Paul Manueli was Fiji’s first local commander of the Fiji military. Daniel Fatiaki was Fiji’s chief justice and Visanti Makarava was the head of the now bankrupt National Bank of Fiji. Their success has bred silent resentment among many Fijians. Konrote is a person of indeterminate, malleable political persuasion, not one with an identifiable political conviction, having served in two bitterly opposed political camps in the span of a few years, one fiercely nationalistic and the other that professes multiracialism. He will be no threat to the government. Konrote’s military background will reassure the military which enjoys a guardian role over the constitution. Former members of the military now occupy some of the most prominent positions in the country, as president, prime minister, several cabinet ministers, permanent heads of departments, and as diplomats. The military now has unprecedented visibility in Fiji’s public life, and the nexus between the military and politics which will only strengthen in years ahead. It is widely believed that Konrote will keep the presidential seat warm until Bainimarama is ready to move up to the Government House after another term or two in parliament. This entry was posted in Fiji, Indirectly elected presidents, Pacific Islands and tagged Fiji, presidential election on October 15, 2015 by Robert Elgie. This is a guest post by Anna Fruhstorfer. It summarizes the main argument and findings of her PhD thesis, Constitutions and Presidents. How formal rules constrain and empower, which was Defended at Humboldt-Universität zu Berlin in July 2015 (PhD committee: Silvia von Steinsdorff, Zachary Elkins, Ellen Imoergut. Although presidential power is a hot topic in political science research, little attention was paid to presidents in non-presidential systems with a powerful parliament and prime minister. So far, scholars have mostly been focusing on semi-presidential systems, whereas parliamentary systems with an indirectly elected president like in Germany or Estonia are hardly ever discussed (with the exception of Tavits 2009). Thus, in my research, I study presidential power in both parliamentary and semipresidential systems. In addition, little is known about the role of constitutions in presidential power. Treating constitutions as the explanatory variable is unusual. However, some influential studies have sought to explain the central role of constitutions in the conceptionalization of presidential power. From different angles, Amorim Neto and Strøm (2006), Tavits (2009), Schleiter and Morgan-Jones (2010) or more recently Bucur (2013) have significantly contributed to our understanding of presidential power. Nevertheless, because these studies are mostly concerned with explaining why a discrepancy between constitution and reality occurs, they do not pay much attention to how constitutions influence reality. In my thesis I answer the how question. I argue that specific characteristics of constitutional power make presidential institutions more sensitive to outside influences than others. Therefore, presidents that act within these institutions adapt their behavior accordingly. What emerges from these actions and what we can observe are different patterns of presidential leadership. Empirically, that means that I conduct a comparative case study of 46 countries for a time frame of up to 75 years. First, I compile an original dataset for these countries (CPS dataset), which is based on a new measurement tool of constitutional presidential strength (CPS index). Secondly, using the dataset, a principal axis factor analysis is used to confront the unidimensional perspective of presidential power and form two dimensions of constitutional power. This two-dimensional perspective then lays the ground for the third step; a typology of presidential institutions with four types (CPS typology). In the course of the development of the stated argument and the conceptualization of power, it became clear that established measurement tools of presidential constitutional power do not always adequately describe the president’s role in parliamentary systems. Nevertheless, these facts were necessary for my research project. Hence, I have developed the index of constitutional presidential strength (CPS) for this study. It advances established tools to better capture the functional logic of parliamentary systems, to facilitate both low-level and high-level constitutional competences, and to enhance methodological and conceptual issues. Conceptually, the CPS index emphasizes the functional logic of parliamentary systems. This means that it treats the power distribution with the government’s survival placed in the parliament’s hands as its most important element. Methodologically, the CPS index builds on Fortin’s (2013) description of measurement shortcomings of other measurement tools. The CPS dataset, established by implementing this measurement tool, provides a unique data collection of presidential power. From a historical-comparative perspective, the measurement and the data display a picture of great diversity of presidential power within a system of checks and balances. As a result, I observe consistently higher values compared to the normalized overview proposed by Doyle and Elgie (2015), as well as to individual measurement tools. The main reason for these differences is that the CPS index provides a more pronounced portrayal of the presidential role in power-sharing modes. The differences in the constitutional power in Germany and India as parliamentary systems and Austria and Mozambique as semi-presidential systems stand in stark contrast to each other. Some directly elected presidents are therefore not even strong on paper, such as in Austria, Iceland, Ireland, Macedonia or Montenegro, while indirectly elected presidents are already strong on paper, e.g. Bangladesh (1972-1974; 1991-2013), Estonia, India, Latvia, or Slovakia. Based on this comparative perspective, I further stressed the effect of constitutions on how their power shapes and determines presidential behavior in decision-making. Whereas these effects are diverse, there are also clear patterns. The strong-weak spectrum of constitutional power cannot fully account for these different patterns of de-facto power. An exploratory factor analysis (PA) of the measurement data indicates that constitutional power is indeed a two-factor construct (see also Fortin 2013). These 2 dimensions are the basis for a typology of presidential institutions with 4 types, which can be characterized by the differences in their level of discrepancy between constitution and reality. 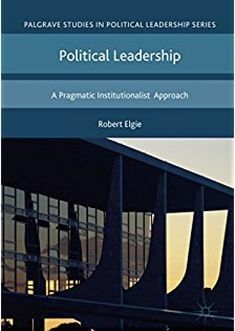 Semi-presidentialism research has already shown that countries have alternate patterns of leadership (Elgie 1999, 283). These patterns vary between “dominant pattern(s)” (ibid. ), be it either a dominant president, a dominant executive, or “a shift from one dominant pattern of leadership to another” (ibid.). What I argue and provide evidence for on a case-based description, is that these patterns are driven by the constitutional structure. Presidential institutions labeled the notary (e.g. Austria, Germany, Albania, Czech Republic), i.e. with little power on both dimensions, are not able to change their de facto role. Empirically neither a patrimonial leadership legacy combined with a problematic democratic development, such as in Albania, nor exceptional political situations, such as in 1999/2000 Austria, nor even the newly introduced direct election in Czech Republic allow for an increase of presidential de-facto power. The same pattern can be observed for presidential institutions like the almighty (e.g. Georgia, Bangladesh, Ukraine). Presidencies with above-average competences on both dimensions are so powerful, that they do not (have to) vary their de facto role. These almighty presidencies are largely insensitive to outside influences. Their dominance in most power-sharing situations offers hardly any room for other political actors to establish an influential position. The strong negative correlation with the democracy level of this type is therefore no surprise. For presidencies labeled custodian and firefighter (e.g. France, Slovenia, Moldova, Poland, and Ukraine), varying patterns of de facto power can be observed. These cases confirm expectations and established literature regarding the questions of why the de-facto power of presidents varies – surprisingly both for directly and indirectly elected presidents within these two types. The Estonian case (and Moldova after 2000), for example, provides some evidence for different patterns of presidential de-facto power. Presidential involvement or ‘activism’ (Köker 2014) increases in times of cohabitation; Estonian Presidents for example veto legislation more often and with a higher frequency in this situation. In times of cohabitation, indirectly elected presidents do not have roots in the ruling party. In most cases, the constitution does not even stipulate a role in cabinet meetings. Presidents therefore lose any influence on the decision-making process within the cabinet and the parliamentary majority. Thus, it is no surprise that these presidents use their legislative veto power frequently. Research on presidential power points to multiple, interrelated causes for the varying de-facto power of presidents. I claim that constitutions structure the choices and thereby create a path for the direction of the power distribution. By defining how the game is played and laying the ground for the battle, they frame who gains and who loses power. This argument has been illustrated for several countries, but this can only be the starting point for further research. A large-N test of this may use for example the number of candidates in presidential elections as proposed by Cheibub and Chernykh (2008) as a dependent variable for a comparison of presidential de-facto power in different democratic and regional settings. Amorim Neto, Octavio, and Kaare Strøm. 2006. “Breaking the Parliamentary Chain of Delegation: Presidents and Non-partisan Cabinet Members in European Democracies.” British Journal of Political Science 36 (4): 619–43. Bucur, Cristina. 2013. “Who fires ministers? A principal-agent approach to ministerial deselection.” PhD Thesis, School of Law and Government, Dublin City University. Cheibub, José A., and Svitlana Chernykh. 2008. “Constitutions and Democratic Performance in Semi-Presidential Democracies.” Japanese Journal of Political Science 9 (3): 269–303. Doyle, David, and Robert Elgie. 2015. “Maximizing the reliability of cross-national measures of presidential power.” British Journal of Political Science. Elgie, Robert. 1999. “Semi-Presidentialism and Comparative Institutional Engineering.” In Semi-Presidentialism in Europe, edited by Robert Elgie, 281–99. Comparative European Politics. Oxford [u.a. ]: Oxford Univ. Press. ———, ed. 1999. Semi-Presidentialism in Europe. Comparative European Politics. Oxford [u.a. ]: Oxford Univ. Press. Fortin, Jessica. 2013. “Measuring presidential powers: Some pitfalls of aggregate measurement.” International Political Science Review 34 (1): 91–112. Hicken, Allen, and Heather Stoll. 2013. “Are All Presidents Created Equal? Presidential Powers and the Shadow of Presidential Elections.” Comparative Political Studies 46 (3): 291–319. DOI: 10.1177/0010414012453694. Köker, Philipp. 2014. “Czech Republic – A new government and the evolution of semi-presidentialism.” Accessed October 20, 2014. http://presidential-power.com/?p=701. Schleiter, Petra, and Edward Morgan-Jones. 2010. “Who’s in charge? Presidents, assemblies, and the political control of semipresidential cabinets.” Comparative Political Studies 43 (11): 1415–41. Tavits, Margit. 2009. Presidents and Prime Minsters. Do Direct Elections Matter? Oxford [u.a. ]: Oxford Univ. Press. For this I gratefully acknowledge the support of the Comparative Constitutions Project, in particular the University of Texas, Austin. I label this constitutional presidential strength (CPS) to avoid any possibility of confusion with the different conceptualizations of presidential power presented and with other measurement tools. This list of arguments explaining why presidential de-facto power varies under certain conditions is infinite. Every country holds its unique set of surprises. One important explanation that proves solid is the role of the president as de facto party leader (Bucur 2013). Additionally party cohesion in combination with cohabitation (Amorim Neto and Strøm 2006), (Elgie 1999), and the proximity of presidential and parliamentary elections (Hicken and Stoll 2013) explain the situation in a variety of countries. Anna Fruhstorfer is a postdoctoral researcher at Humboldt University Berlin at the Department of Social Sciences. Her main area of research is Comparative Politics, with a regional emphasis in Eastern Europe. Her research concentrates on presidents, parliaments and the relation of law and politics, in particular constitutional politics. She is also affiliated with the University of Texas at Austin via the Comparative Constitutions Project. This entry was posted in Indirectly elected presidents, Presidential power measures and tagged Presidential Power, Presidential power scores on October 5, 2015 by Robert Elgie. In a recent article, I presented figures for the competitiveness of direct presidential elections in democracies around the world. In a contribution to a new volume, I report figures for the competitiveness of indirect presidential elections in Europe. The editor of the volume, Professor José M. Magone, has allowed me to build on the information in a couple of Tables in the book prior to publication. I am very grateful to him. In the previous post I looked at the competitiveness of indirect presidential elections in terms of the number of ballots it took to elect the president and the time taken to do so. In this post, I look at the number of candidates at the election. Unlike direct presidential elections, one of the characteristics of indirect presidential elections in many countries is that new candidates can enter the contest after the first ballot. So, just as the share of the vote in direct presidential elections is reported on the basis of the first ballot, here I am reporting figures for the number of candidates at the first ballot of indirect presidential elections. Obviously, this can be misleading. For example, if a candidate is sure that a successful election will not take place at the first or subsequent ballots, s/he can wait until a later ballot to stand in the hope of being able to portray himself/herself as a unifying figure. While this scenario is possible, it is difficult to capture in cross-national comparisons. So, I report the figures the number of candidates at the first ballot in the Tables below. (The range of elections covered is reported in the previous post). Notes: No systematic information is available for Malta. The figures for Hungary are from 2000 (inclusive). The figures for Italy exclude so-called ‘voti dispersi’. Here are figures for countries that used to hold indirect presidential elections, but that have since shifted to direct elections. The most striking finding is that, with the exception of Italy, the average number of candidates at the first ballot is relatively low. Indeed, relative to direct presidential elections (see figures below), the number is much smaller. This is obviously the result of ballot rules, the nature of party discipline in the legislature, and relatively small number of parliamentary groups. By contrast, in direct presidential elections there is usually some way that non-party or dissident party candidates can find their way on to the ballot. In addition, whereas Iceland and Ireland are the only countries with directly elected presidents that have some tradition of uncontested elections, we find that in parliamentary republics uncontested elections have occurred in a higher proportion of countries. It should be remembered, though, that in parliamentary republics an uncontested election does not necessary mean a successful election. Sometimes opposition parties will refuse to stand a candidate, leaving the candidate of the largest party as the sole candidate but one who does not necessarily have a large enough majority for election, especially if there is a super-majority requirement. So, uncontested elections do not necessarily signify low political stakes in parliamentary republics. Austria 3.1 (2.1); Bulgaria 13 (3.1), Croatia 11.3 (4.2), Cyprus 5.3 (2.3), Czech Rep. 9 (5.7), Finland 7.2 (3.7), France 10.6 (5), Iceland 1.9 (1.5), Ireland 2.3 (1.9), Lithuania 7.6 (3.4), Macedonia 4.5 (3.5), Montenegro 4 (2.9), Poland 11.8 (3.4), Portugal 4.6 (2.4), Romania 13 (3.9), Serbia 10.5 (4.8), Slovakia 9.7 (3.3), Slovenia 7 (3). So, from these two posts what could we conclude? In terms of differences, I think we can say that there is the potential for indirect presidential elections to take a very long time and for them to result in stalemate. This is rare, but it has happened. In terms of similarities, I think we can say that even if there is the potential for stalemate, in most cases the process of electing the president in parliamentary republics takes around the same amount of time as the process of voting at two-ballot direct presidential elections. I think we can also say that the number of candidates is relatively similar if we compare the average number of candidates in indirect presidential elections with the average effective number of candidates at direct presidential elections. Overall, perhaps what this suggests is that the difference between the two systems lies predominantly in the manner of elections and their effects – the length of campaigning, the degree of television coverage, the involvement of citizens, the presidentialization of parties – rather than their competitiveness in terms of the average number of ballots, time, or candidates. Robert Elgie, ‘Types of Heads of State in European Politics’, in José M. Magone (ed. ), Routledge Handbook of European Politics, London: Routledge, to appear in November 2014. Robert Elgie, ‘The President of Ireland in comparative perspective’, in Irish Political Studies, vol. 27, no. 4, pp. 502-521, December 2012. A slightly revised version was also published in John Coakley and Kevin Rafter (eds. ), The Irish Presidency: Power, Ceremony and Politics, Dublin, Irish Academic Press, 2013, pp. 17-39.Next week, I will look at competitiveness in terms of candidates. Robert Elgie, ‘Types of Heads of State in European Politics’, in José M. Magone (ed. ), Routledge Handbook of European Politics, London: Routledge, to appear in November 2014. This entry was posted in Europe, Indirectly elected presidents and tagged Europe, president, presidential election on May 20, 2014 by Robert Elgie. One of the tropes about indirect presidential elections is that they are so competitive it can be difficult even to elect a president. In Moldova in 2009-2010 this was certainly the case. There was an unsuccessful attempt to elect the president in May-June 2009, precipitating a parliamentary election, followed by another unsuccessful attempt in November-December 2009. This led to a referendum in September 2010 on the introduction of the direct election of the president. This reform failed and new parliamentary elections were held in October 2010, after which an interim president served in office until a president was finally elected in 2012. In Slovakia in 1998 the failure to agree on a president after five rounds of balloting and 10 votes led, like in Moldova, to the appointment of an interim president and a referendum in 1999 on the direct election of the president. Here, though, the referendum was successful. Equally, even though a president was elected by parliament in the Czech Republic in 2008, the difficulties associated with the election were such that they also precipitated the introduction of direct presidential elections there too. So, there is something to the idea that indirect presidential elections can be so competitive that they can be problematic and even destabilising, particularly when party discipline is strong, parliament is divided, and/or a super-majority requirement is needed. Generally, we can think of the competitiveness of indirectly electing a president both in terms of the number of ballots and the time taken to elect the president. The more ballots and the more time, the more competitive. In relation to the former, we see from the Tables below that it has taken a considerable number of ballots to elect some presidents in certain countries. Indeed, presidential elections in Italy strongly conform to the stereotype that indirect elections can be difficult and highly competitive affairs. The 1953 French presidential election, which took 13 ballots to complete, was also instrumental in creating this stereotype at least amongst a certain generation of academics. That said, in every European country in the timeframe indicated, including Italy on two occasions, a president has been elected at least once on the first ballot. Overall, with the exception of Italy, the mean number of ballots across the set of countries currently using indirect elections is not hugely greater than the standard two-round system that is used for most direct presidential elections in Europe. Here are figures for three countries that no longer directly elect their president. In terms of time, the process can certainly be longer than direct presidential elections. In these latter elections, there is usually a two-week gap between the first and the second ballot. However, even leaving aside the Moldova example discussed above, in the Czech Republic in 2003 it took six weeks for parliament to elect the president. In Greece in 1990 the process of electing a president began on 19 February and ended on 4 May with a parliamentary election in between caused by the failure to agree a president. In general, though, indirect presidential elections do not always go on and on. For example, in Italy, even though it took 23 ballots to elect President Leone in 1971, the whole process took 15 days, pretty much the same amount of time between the two rounds of a typical direct presidential election. I don’t have systematic information, but my sense is that the average time taken to indirectly elect a president, i.e. from the first ballot to the successful election, is probably a little shorter than the standard two week period required by a two-round direct presidential election. In a post next week, I look at the level of competition in terms of the candidates at the presidential election. This entry was posted in Europe, Indirectly elected presidents and tagged Europe, president, presidential elections on May 15, 2014 by Robert Elgie.